Various processes within the water and wastewater treatment industry require water flow to be maintained at a constant rate. Maric Flow Controllers provide the means to limit or maintain a constant flow, irrespective of pressure differential fluctuations across the valve. Controlling backwash flow rate in a media filter is one of the more common applications in water treatment. Flow controllers prevent the excessive lifting of the media bed, which eliminates the risk of losing media out to waste – and allows for flexibility in design of equipment e.g. selection of pumps. 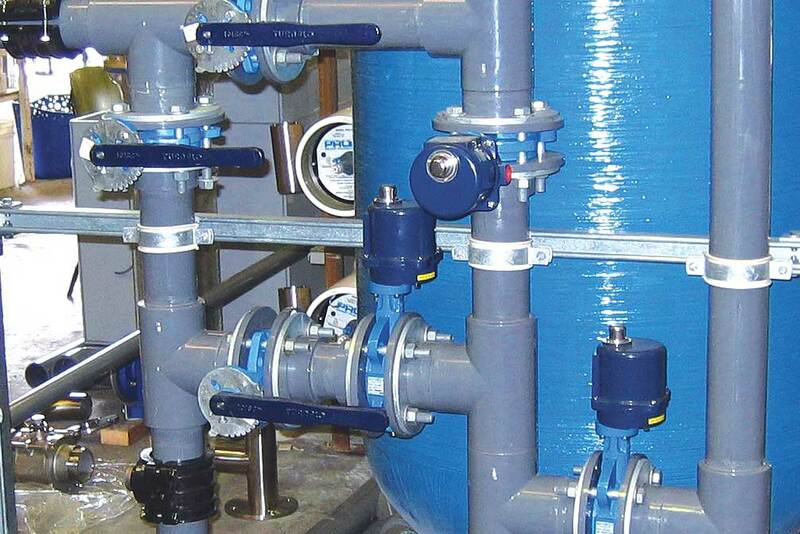 Control of flow rate through other parts of the installation also benefit from being limited or maintained, for example -certain delicate filter membranes capture their optimum amount of contaminants when water velocity through them is limited. It can also prevent damage e.g. rupture or coning of the membranes. Chlorine concentration measuring equipment must be fed with a constant flow of water to it, in order to maintain accuracy of the reading. 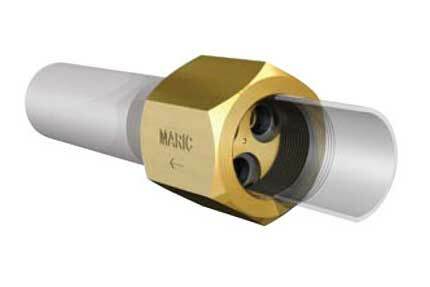 Maric Flow Control valves are regularly used for this purpose, typically at around 0.5 Litres per minute. The Maric Flow Control valve is designed to deliver a fixed, pre-set, constant (maximum) flow of water – irrespective of pressure differential across it within a given range, typically 140-1000 kPa. This means constant flow rate, irrespective of fluctuating pressure upstream or downstream of the valve.